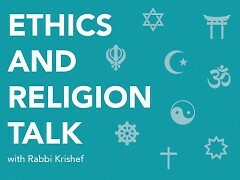 This week, I am departing from the normal format of Ethics and Religion Talk to respond to some reader feedback. A woman contacted me through the Grand Rapids Press regarding the lack of racial diversity on the panel; specifically, she wanted to know why there was no African-American panelist. First, I explained that it is my goal for the panel to match the ethnic and religious diversity of our area, but I have had trouble finding a pastor from an African-American church for the panel. In fact, her own pastor was part of the column for a brief time, but discovered that he didn’t have the time to participate consistently. So I’m still looking. On another diversity front, with the retirement of Doug Van Doren, pastor of Plymouth UCC, we welcome his successor, Rachel Bahr. Thus, the number of women increases from two to three (along with eight men); still not balanced, but slightly better. I questioned that line before I published that column, but since the main topic of the column was the use of frozen embryos after divorce, not divorce per se, I let it go. But Allan’s point is a good one. If I see something in a response that I know for certain to be false, I will typically send the response back to the panelist for a rewrite. If I am running up against a deadline, it is often possible for me to edit the response to remove the error without changing the substance of the response. In this case, the line in question was not responsive to the question and was not necessary in order to understand the part of the response that did answer the question. I could have and should have edited it out, and I apologize for not doing so. Allan asked a follow-up question. What if a member of the panel were to state that male homosexuality (as defined by physiological arousal, not behavior) is entirely a choice. Would I publish this assertion, either with or without comment? My answer is that if he stated it as a medical fact, I would send it back for a rewrite, edit it out, or not use the response. If, however, the statement was grounded in the texts of his religious tradition (i.e., if he has scriptural support for such a statement), I would let it remain in the response because he would be stating his religious belief, not a medical fact. In that case, for the record, I would make sure that either my response or another panelist’s response clearly stated that a male homosexual orientation is not a choice. Along the same lines, if I had a panelist state that the world is about 6000 years old, I would let that stand even though it is scientifically unsupportable. A panelist and a religious tradition has the right to embrace beliefs that fly in the face of facts. Readers have the responsibility to evaluate responses based on how well the position is supported by scriptural tradition and objective facts. Readers will also have to decide for themselves the relative weight of these two factors. Some traditions believe scripture trumps scientific or medical fact; others will alter their world view when presented with scientific evidence. The Genesis stories of creation may well reflect the best scientific and historical information available at the time they were written. Yet for us, they are best read as mythic fiction, intended to teach us something about our role in the world. Other parts of the Hebrew Bible may have been written to be a historical record, but we understand that the history as written is far from objective. These passages’ intent is to critique flawed human behavior and it doesn’t matter whether the stories are 100% objective fact or partially or largely fictional - the lessons are still valid. 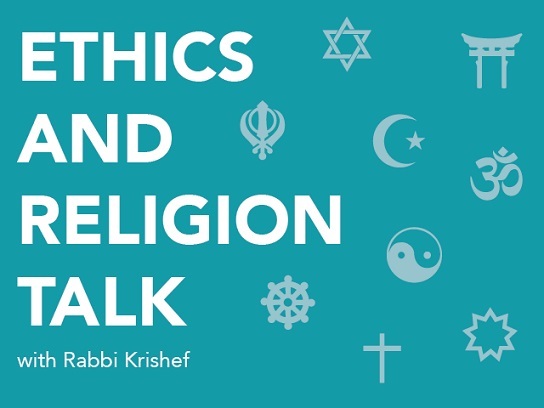 Whether or not the revelatory event at Sinai actually happened as described, the resulting legal system forms the basis of a Jewish (or Biblical-based) ethical system. I read every word seriously, seeking to find truth; and at the same time, I acknowledge that the story or the context may not be objectively, historically, or scientifically, true.